Four Center for Educational Innovation staff members (and one guest) have contributed materials that are blended together here in this post: Ilene Alexander, Paul Ching, David Langley, J.D. Walker (and Richard Tiberius). 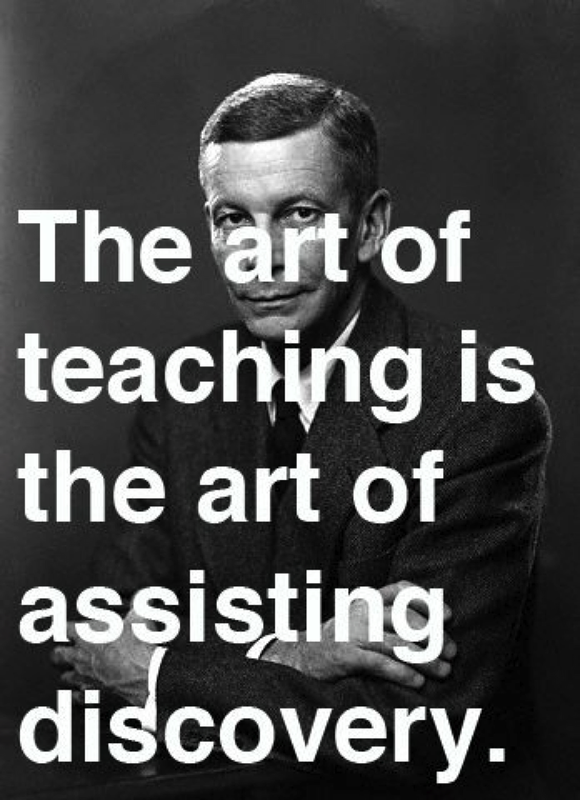 Whether and why to lecture. How to shape and when to place a lecture into a course – whether a course ranges from large to small enrollment, or from meeting in a lecture theatre, to physical classroom with moveable chairs, to online learning spaces, to a combination of these. What multiple forms might a lecture take, and how this links to decisions regarding what multiple roles might its teaching and learning participants take up before, during, and after a lecture. In shaping this reflective response to Worthen’s piece, we have two goals in mind: (1) to shape three core talking points for our readers to consider, and (2) to link to four resources that would support further pedagogical reflection, both practical and philosophical, both for use right now and for shaping future directions. Point 1: Effective lecturing is one of many active learning techniques and should be accepted as such. Worthen does not make the exact point above; rather, we can infer it based on her examples, open comments on her paper, the historical work of other scholars (Bain, 2004; Fink, 2003), and our own professional experience. For example, L. Dee Fink (Creating Significant Learning Experiences, p. 106) lists getting information and ideas via listening or reading as one of three key components of a holistic view of active learning. Surely the information-gathering phase of active learning allows room for lecturing as one possible source of that information. And Ken Bain’s (2004) classic book on the “best college teachers” – a number of whom were self-described lecturers – defined effective practice through the creation of a “natural critical learning environment,” an evidence-based, inquiry-oriented approach aimed at tapping and advancing higher order intellectual activity. Sounds awfully like these teachers were attempting to generate active student engagement in both the preparation and delivery of teaching. Lecturers need to determine whether Bain’s natural critical learning environment (What the Best College Teachers Do, p. 99-109) describes their own practice and if not, what decisions and actions might be needed to advance in this direction. If lecturing involves building a cohesive argument, as Worthen contends, then teachers are also confronted with how often and how well they have built good arguments worth discussing, worth listening to. Engaging the minds of students through lecture requires that students cultivate the skill of deep attention. In a recent Chronicle Review essay (October 9, 2015), Sherry Turkle describes why deep attention is both rare and valued in today’s college classroom. 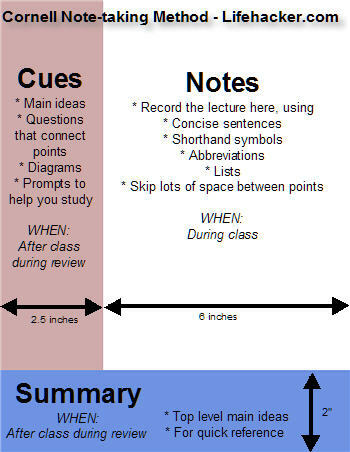 Effective lecturing requires students to listen with an analytical ear, and useful note-taking demands an active mind. Note-taking well – by hand, especially – pays dividends for the development of keen analysis. (See the close of Chapter 11 in Linda Nilson, for a discussion of notetaking.) Lecturers also have a responsibility to help students learn the art and science of good note-taking; this is not an assumption that should be left to chance for any and every college student. Point 2: Our images of active learning and lecturing may need to be better informed. Worthen does not examine the issue of imaging – neither of “the lecture” nor of “an active learning classroom” – in any depth, though she does fall prey to language like “craze” and “vogue” and equates active learning to “student led discussion.” As a result, she offers an overly narrow definition of active learning, equating it with student-led discussions, when in fact active learning enjoys a much broader meaning in current educational scholarship, embracing any teaching technique that fosters active student engagement with course material. The basic principle behind active learning is that students learn best when they engage in the skills that they are attempting to learn. You can learn something important from watching other people ride bicycles but you won’t be able to ride a bike yourself without getting on it and pedaling. Similarly, Dr. Worthen doubtless knows how to synthesize and organize “a long, complex argument”, but this tells us nothing about how that argument is perceived by listening students, who, the literature tells us, are unlikely to grasp its intricacies and connections without active engagement. We all likely carry in mind Hollywood-generated images of teachers giving a lecture – the inspirational virtuosity of Robin Williams in Dead Poets Society, or the monotone mixture of sequenced facts with correct answer questions delivered via Ben Stein’s character in Ferris Bueller’s Day Off. But what cultural images can we call up for the weaving together of teaching and learning through participation in an interactive lecture? Teachers may wish to examine the origins of the central images, the metaphors, analogies, verbs and common phrasings we accept – or remake – to guide practice. Finding those origins can be enlightening, a trigger event of sorts for transforming one’s teaching, for making one’s own teaching language to support one’s own teaching practices. What counts as lecture probably varies within teachers just as it is variable across teachers. While teachers are often encouraged to expand the full array of their teaching approaches, it may be fruitful to look carefully at one’s version of lecture and keep an eye on how it is expressed it in multiple settings. This may begin with the questions we reference in section one of this post, or with a simple shift in thinking that moves from “preparing to teach a large lecture course” to “preparing to teach a large enrollment courses” – a shift that helped on of our blog writers design the course, syllabus, and daily interactions when teaching her first ever large enrollment course. Can’t we all just agree – that new contexts require new approaches? to be informed by the valid research and valuable scholarship that addresses intersections of learning and teaching? Apparently not at present. The dissection of lecture and its defense call to mind the images of irresistible force and immovable object. Whether in the article proper or in the inevitable open comments that follow, writers appear to be talking past one another as multiple participants in the current conversation have noted. There are ongoing issues with definitions and assumptions. There seems to be no death blow that can be delivered from either side – not even after PNAS (Proceedings of the National Academy of Sciences) followed publication of its 2014 meta-analysis of 225 studies reporting on traditional lecturing versus active learning by noting “it is no longer appropriate to use lecture teaching as the comparison standard, and instead, research should compare different active learning methods, because there is such overwhelming evidence that the lecture is substantially less effective” (PNAS editorial). While one can hope for lessening of vitriol and caricature, hope is not a strategy. Because pedagogies are value-based and subject to our natural defense mechanisms, sometimes the expression of emotion in building an argument is part of the hand we are dealt in this controversy. There is a nice line from the late anthropologist Clifford Geertz that could be reoriented toward this discussion. In “Thick Description,” his essay on cultural analysis, Geertz (1973) remarked that it was a “strange science” where progress involved “intensify(ing) the suspicion…that you are not quite getting it right.” If we are to get somewhere with the current matter at hand, there is a place for humility in recognizing that each side is not quite getting it right. Recognizing that lecture can be a teaching/learning practice that actively engaging the minds of students does not in turn validate any and every lecture that appears on college campuses. Bain’s description of a natural critical learning environment as a litmus test may be a start; after all, his method for admitting faculty into his analysis was that each teacher’s approach “fostered remarkable learning” (p. 183). Remarkable learning….via…lecture? The instructor might begin the interactive segment with an engagement trigger that captures and maintains student attention. Then the instructor incorporates an activity that allows students to apply what they have learned or give them a context for upcoming lecture material. As the instructor feels more comfortable using interactive techniques he or she might begin to call upon a blend of various interactive techniques all in one class period. teaches students to take good notes – with encouragement to compare and share notes with other learners as part of the post-lecture thinking process. reducing student attrition – from courses, and from colleges. On Student Resistance to Lecture Change Ups, which brings in the voice of Robert Talbert, a teacher who makes use of both interactive learning in lectures, and flipped learning approaches to class session design, and who both speaks about student resistance, and writes about ways of learning for a student audience.